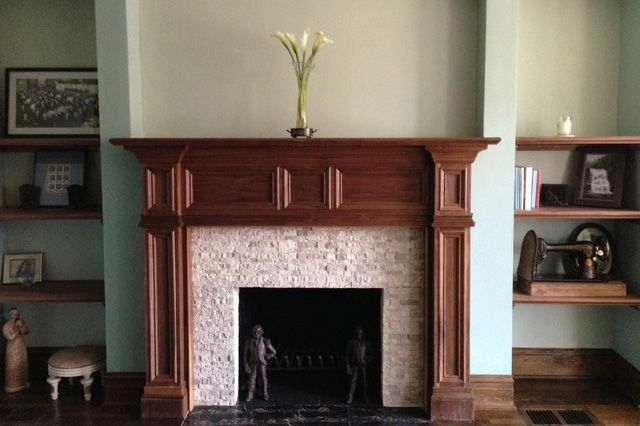 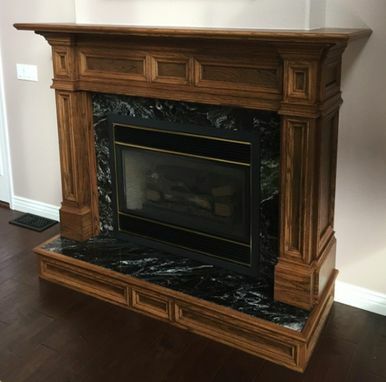 The Custom Blaine Hardwood Mantel is a large design with strong lines and a thick, heavy appearance. 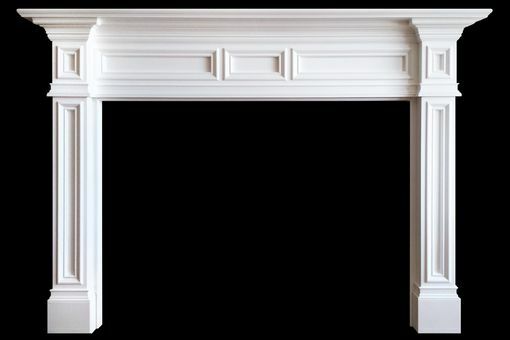 It is also a very clean and uncluttered mantel design which is well suited for both modern and traditional settings. 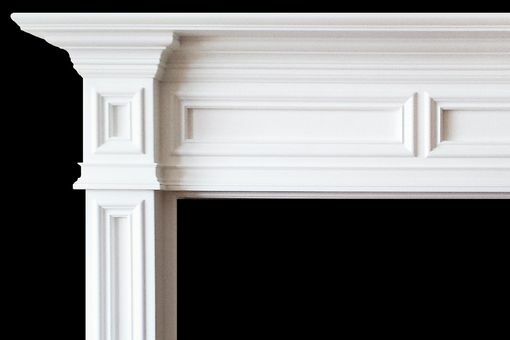 The Blaine Hardwood Fireplace Mantel is available in every possible wood species, and is currently our most popular Mission Style Mantel. 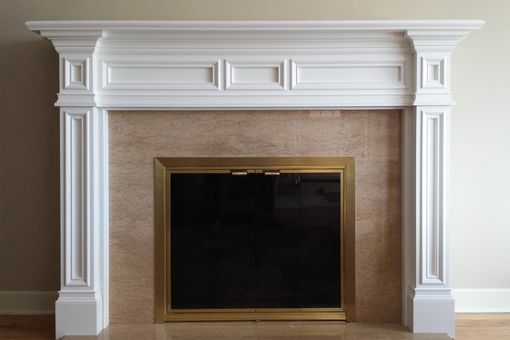 The Blaine is a perfect candidate for a modern overhaul in which we use beveled edge moulding along the interior of each panel and a simplified and symmetrical cove crown moulding.